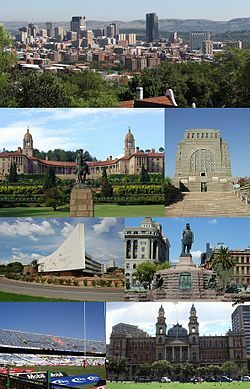 Clockwise from top left: Pretoria CBD skyline, Union Buildings, Voortrekker Monument, Administration Building of the University of Pretoria, Church Square, Loftus Versfeld Stadium and the Palace of Justice. 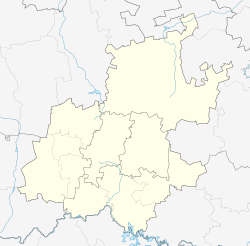 Pretoria ke toropokgolokgolo go feta porofense Gauteng kamoka Afrika Borwa. ↑ "Gauteng's Human Development Index" (PDF). Gauteng City-Region Observatory. 2013. p. 1. Retrieved 1 January 2015. ↑ 2.0 2.1 "Global city GDP 2011". Brookings Institution. Retrieved 18 November 2014. Letlakala le fetotšwe la mafelelo ka 12:28, 9 Pherekgong 2018.